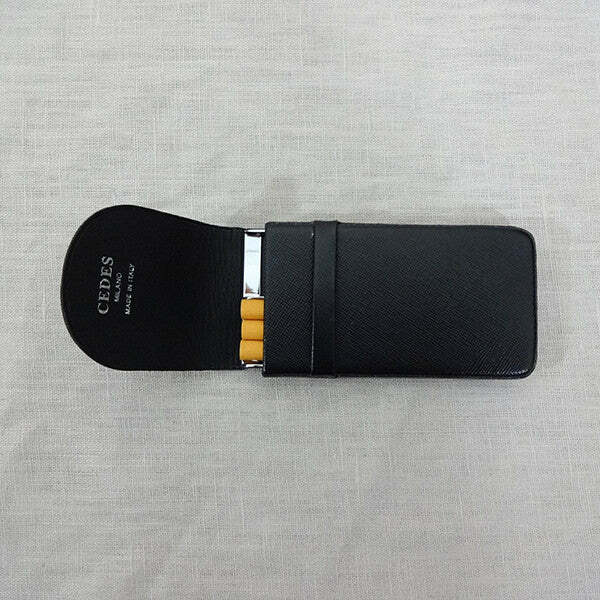 Case with chrome plated brass frame for six long or regular-sized cigarettes. 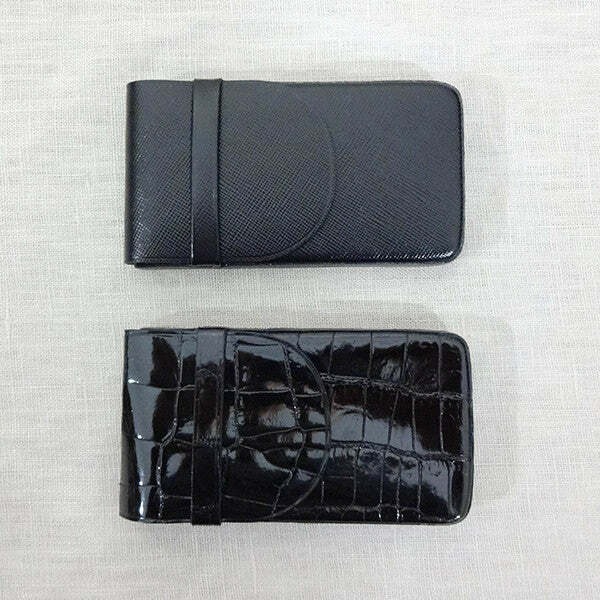 Available in black saffiano calfskin leather or black crocodile. Handmade.